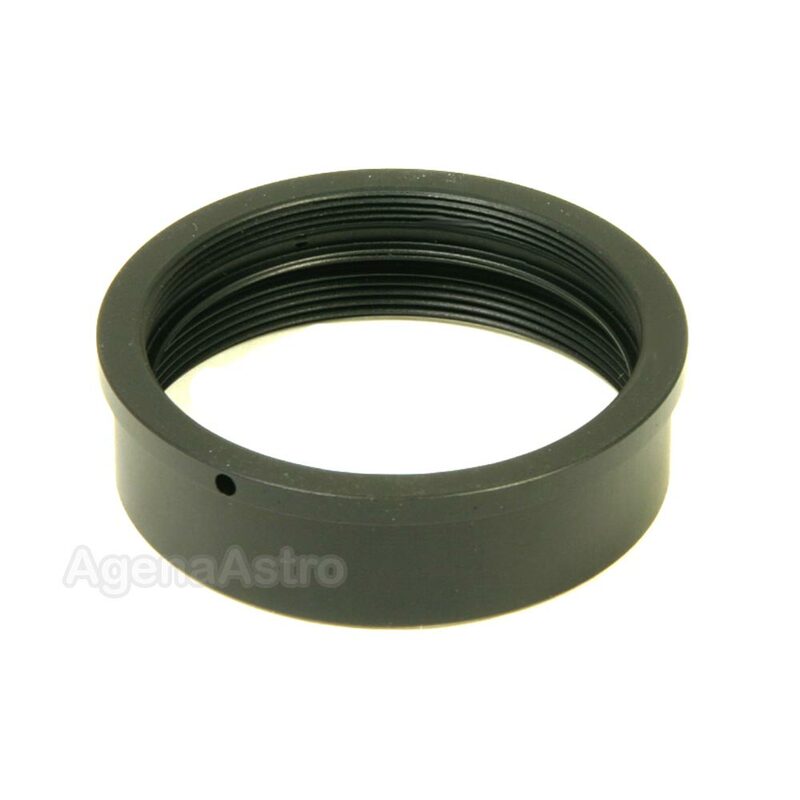 Baader Planetarium's # T2-09 / 1508041 adapter allow you to convert Zeiss telescopes and M44 accessories to the Baader T-2 standard. It features an M44 Zeiss female thread on one side and a standard T / T2 female thread on the other side. Zeiss telescope and equipment owners will really appreciate the new flexibility they gain from converting over to the Baader Astro T-2 System. Baader has outfitted many Zeiss Telementor users with their quick change system and prism diagonals. Owners of Zeiss M44 eyepieces can now convert them to 2" barrels, by simply adding a T2-09 and a T2-16 2" Nosepiece. Or convert the superb Zeiss M44 prism diagonal or amici turret for use with 2" focusers and 1.25" eyepiece holders. Review by brucesdad13 of Rutland, MA. The stock focuser on the Celestron 80mm Guidescope package has what I would consider a rare and hard to ascertain threading. After some measuring and searching I was excited to find out that, using this product, I would be able to attach filter wheels, cameras, or other optical items with the standard T2 thread. It's the only adapter I was able to find that would fit my guidescope. It fits to a T, as you would expect from Baader. Worth every penny!